coeruleus, Brochis Cope 1872:277, Pls. 7 (figs. 2a-b), 9 (fig. 3) [Proc. Acad. Nat. Sci. Phila. v. 23; ref. 921]. Trib. 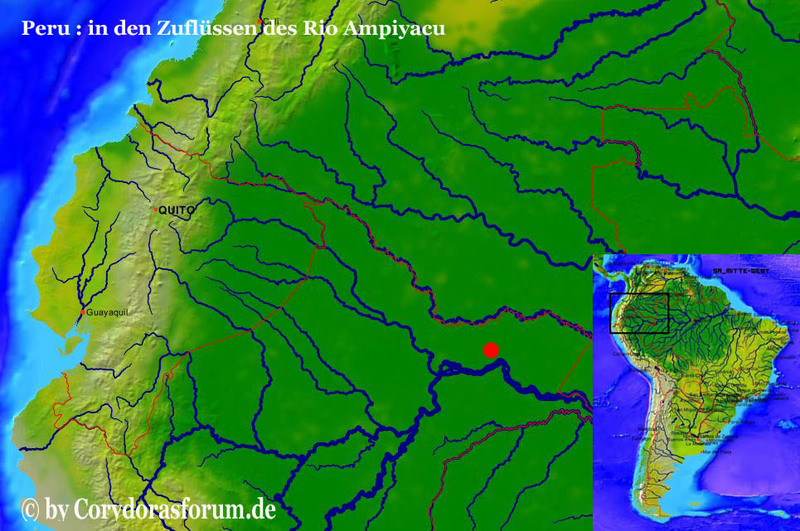 of Río Ambyiacu [= Rio ampiyacu], Peru. Lectotype: ANSP 8231. Paralectotypes: ANSP 8232-37 (6). Type catalog: Böhlke 1984:32 [ref. 13621]. Lectotype designated by Nijssen & Isbrücker 1970:157-158 [ref. 22239]. •Synonym of Brochis splendens (Castelnau 1855) -- (Nijssen & Isbrücker 1970:157 [ref. 22239], Burgess 1989:364 [ref. 12860], Isbrücker 2001:218 [ref. 26805], Reis in Reis et al. 2003:293 [ref. 27061]). Brochis splendens (Castelnau 1855). Callichthyidae: Corydoradinae.